Estonia’s Parliament is currently debating a new tax on vapor products. The Riigikogu, as the Parliament is known, is considering a bill to amend the Alcohol, Tobacco, Fuel and Electricity Excise Duty Act and the Tobacco Act. If the proposal becomes law, Estonia will join an expanding number of European nations, including neighbors Finland and Latvia, which have adopted policies of taxing electronic cigarettes. The bill was submitted to the Riigikogu by the Government with the support of all the Cabinet except the Ministry of Justice, which held back its approval due to its opposition to a provision that would impose excise duty on products that do not contain nicotine. The bill creates a new category of products, “alternative tobacco products”, that will be subject to the tobacco excise tax. Included within this broad category is “tobacco liquid”, both flavored and unflavored, with or without nicotine, which is consumed in a device designed for that purpose. The amendment proposes an excise tax rate of 0.20 euros per milliliter of liquid. The alternative tobacco products category also includes “solid substitute[s] for tobacco”, a somewhat vaguely described subcategory which, according to explanatory notes prepared by the Ministry of Finance, includes “vapor stones” and similar product substitutes for water-pipe tobacco. The proposed rate of tax is 76.84 euros per kilogram. Other unspecified novel products would be taxed at 0.2 euros per one gram of the product. This unusual provision sets a rate and establishes a tax base for products which have not been identified and which may not have been introduced on the market. Excise tax laws are generally characterized by precise definitions of products and tax categories. Neither the amendment nor the explanatory note contains a reference to heated tobacco products. This is in sharp contrast to nearly a dozen markets in Europe where clearly defined tax categories for heated tobacco have been created concurrently with the imposition of excise duties on electronic cigarettes. The Ministry of Finance estimates that in 2018 the new tax on alternative tobacco products will generate approximately EUR 1.1 million excise and value added tax revenue. This represents 0.6% of the EUR 183.5 million in excise alone collected from all tobacco products in 2015. However, some challenges to achieving this revenue target can be identified. The amendment’s proposed tax rate of 0.20 euros per ml of liquid used in e-cigarettes is nearly twice that of Latvia, a country with which Estonia shares an extensive border. 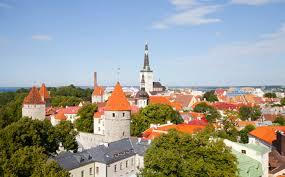 The excise tax burden on a 10 ml bottle of e-liquid could be between 90 cents and one euro higher in Estonia. This could result in a large tax induced price differential at the retail level which in the case of traditional tobacco products has historically led to an incipient illicit trade. In addition, the current proposal to ban flavors in e-cigarette liquids could provide further incentives for Estonian vapers to seek flavored liquids from across the border.